What if I Want “Metal-Free” Dental Implants in Longmont? Controversy has surrounded metal amalgam fillings over the years due the mercury they contain. These days most patients opt for metal-free, tooth-colored fillings made from composite resin. Composite offers the durability you need with the aesthetics you want. How about dental implants? Can you opt for a metal free version? Here’s what you should know about dental implants in Longmont and how the materials affect your health. 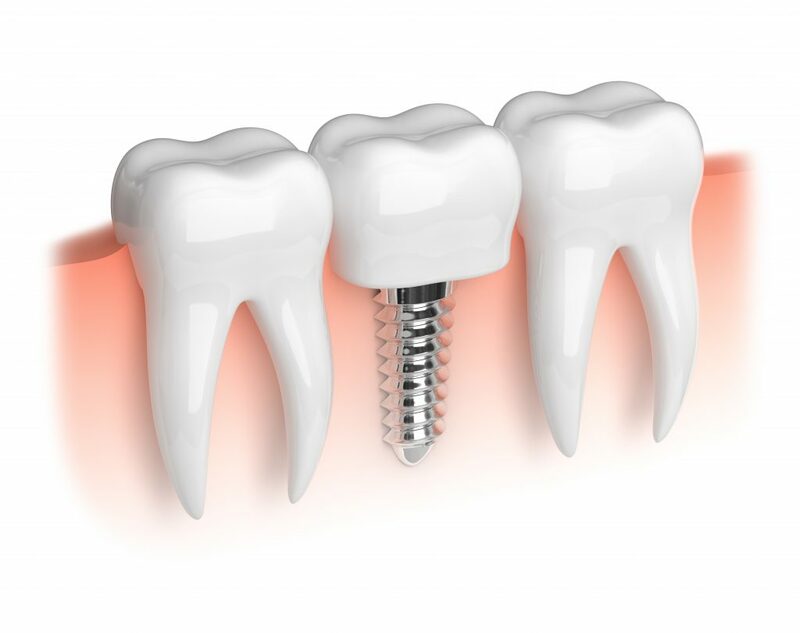 The dental implant itself is comprised of titanium, and currently, there are no metal-free options available for dental implants. The reason for utilizing titanium is because it is compatible with your body as it is also used for replacement surgeries such as hips or knees, for example. A dental implant is placed into your jawbone where the titanium actually fuses and integrates with your bone, becoming part of your dental anatomy just like your root. Because the implant becomes part of your bone, it creates a firm foundation that supports your new tooth or porcelain crown. It also keeps your bone stimulated for regrowth just as your root would and it prevents the deterioration that occurs with root loss. Allergies to titanium are extremely rare, making dental implants a very reliable treatment as they boast a 95% success rate. Dental implants also offer great longevity, as they can last a lifetime with regular dental checkups and excellent home care. These factors make implants a wise investment in your oral health if you are living with a compromised or missing tooth. If you would like to learn more about the possibilities dental implants offer, the first place to start is a consultation with your implant dentist in Longmont. In order to be successful, implants do require enough healthy bone structure to properly support them and it is also essential that the patient is in good overall health. With a thorough examination and some x-rays, your dentist can determine if dental implants are right for your needs. If you would like to learn more about the possibilities for your smile, contact your dentist today to schedule your consultation. Longmont Complete Dentistry is founded on many years of family tradition as the father and son team of Drs. James and Dan Maurer focus on providing exceptional dental care to patients in Longmont, CO. We welcome families and patients of all ages to Longmont Complete Dentistry and patients appreciate the individualized attention the receive when they choose our practice as their dental home. If you would like to contact Dr. Maurer, he can be reached by calling 303-772-7000 or through our website. Comments Off on What if I Want “Metal-Free” Dental Implants in Longmont?